Parents, coaches, doctors and trainers have all been telling young athletes for years to avoid unhealthy lifestyle choices and injury risk by making sure that they get enough sleep, hydrate and eat a healthy diet. 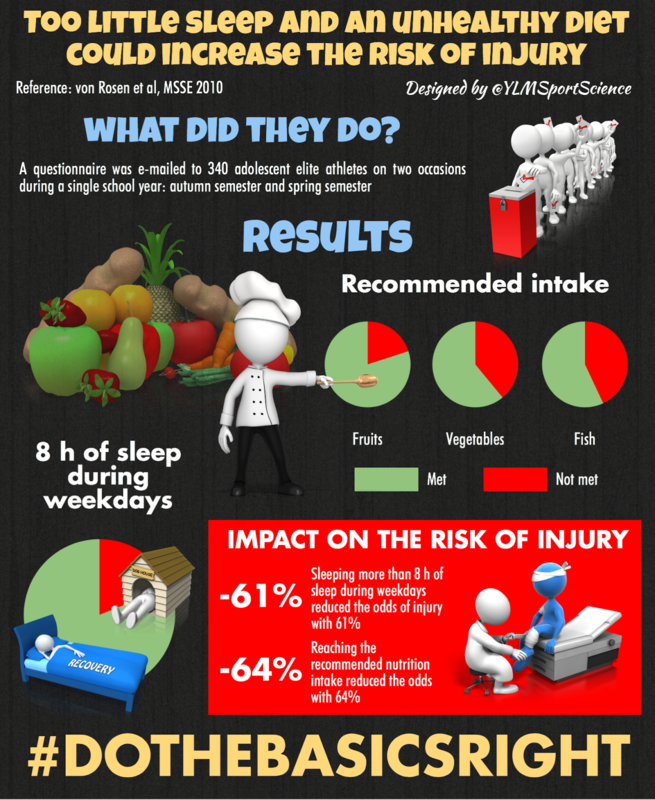 Kids have always taken this with a grain of salt and an eye-roll stating, “we know, we know.” Now, new evidence supports the long-held notion that too-little sleep and an unhealthy diet could increase the risk of injury in adolescent elite athletes. The study found that nutritional intake was insufficient for several adolescent athletes, with many not meeting the recommended intake of fruit, vegetables and fish. A proper diet with adequate nutrition and hydration is essential for all athletes, but it is especially important for adolescents with developing bodies and competing at high levels of athletics. The nutrients supplied through a healthy diet are crucial for providing the energy necessary for athletic performance as well as for recovery and muscle repair. This study demonstrated that athletes reaching the recommended nutrition intake reduced their risk of injury by 64% compared to those that did not meet the recommended nutrition intake. This shows that for athletes to stay healthy and injury-free, a proper diet with adequate nutritional content is crucial. Additionally, the study discovered that the recommended amount of sleep during weekdays was not obtained by nearly 20% of all adolescent athletes. Procuring adequate sleep while training and competing is crucial for many reasons, but for adolescent athletes, ample sleep has shown to improve reaction times and overall health, increase accuracy and speed and reduce mental errors. In fact, athletes who got an adequate amount of sleep—more than 8 hours during weekdays—reduced their risk of injury by 61%. The doctors at 5280 Cryo & Recovery Clinics are concerned with more than just treating sports injuries. We believe not only in treating, but also in educating athletes on proper sleep, hydration, nutrition and other factors that may contribute to injuries. The best way to treat an injury is to take the necessary steps to avoid risk of injury in the first place. 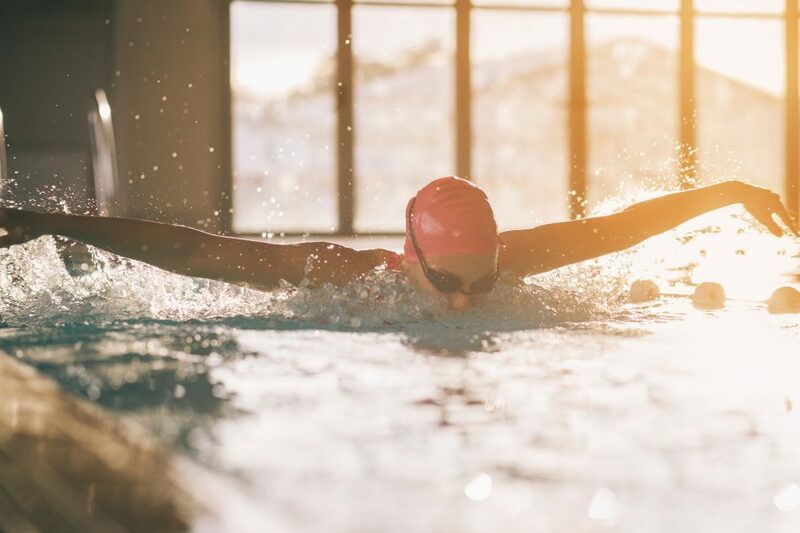 If you or someone you know is currently suffering from a sports-related injury or would like to learn more about injury prevention, schedule an appointment with one of our sports injury doctors near you and we would be happy to help with all of your injury treatment and prevention needs.